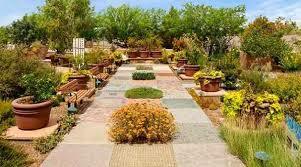 There are many fabulous things to do besides gambling in Las Vegas. Whether it be a show or shopping, you can always find something to do if you look for it. The hotels are the best attractions in Las Vegas. Hotel hopping can take the better part of a week to see them all. That is just a simple walk through from one side to the other. 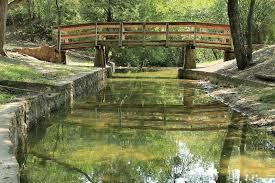 Plan on at least a day in your favorite ones just to see all the sites. But be forewarned, some that look small on the outside are huge when you get in the door. 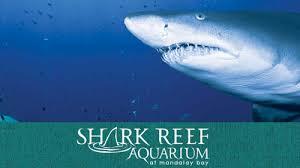 Shark Reef at Mandalay Bay Hotel will take about one to hours to visit. 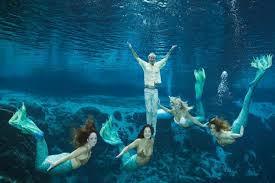 Here you will see all kinds of sea life and reptiles. They have everything from crocodiles, piranha, jellyfish, sharks and even some baby rays you can touch. They also have an underwater tunnel you can walk through to see the sharks and other fish swimming above you. 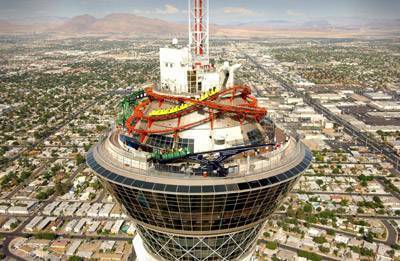 The Stratosphere Thrill Rides are not for the faint of heart. They are located up on the 109th floor of the hotel. That suspends you off the side of the building. Similar to skydiving, Sky Jump Las Vegas can be described as a "controlled free fall," with riders attached to a vertical zip line. Brave souls dive 855 feet from the 108th floor of the Stratosphere tower to a landing mat on the ground. During this ride, you'll soar at 40 miles per hour. The breeze you feel while descending down to the ground is like no other. Before the jump, you'll be given a short safety lesson and fitted into a jumpsuit. Next, you'll be connected to a patented "descender machine." One of the guides will lead you to the edge of a small platform. Here is where you'll leap out and plunge 100 stories down to the ground. This ride atop the Stratosphere Tower whisks as many as 12 riders 160 feet in the air in an astounding 2.5 seconds along the tower's needle at 45 mph. It happens so fast, it feels as if you might actually shoot right off the top of the Stratosphere -- 1,049 feet above Las Vegas. Get a feel of weightlessness as 4 Gs of force literally makes you float out of your seat. Extending 68 feet over the edge of the 1,149-foot Stratosphere tower, Insanity - The Ride spins passengers at up to three Gs. While sitting in your escape proof seat, you'll be lifted up at a thrilling, 70-degree angle -- all while reaching speeds up to 40 mph. With views of the Las Vegas Strip more than 900 feet below, this ride combines both a physical and psychological rush. Depending on the time of day (and if it's bright and sunny), you can actually see the shadow of the Stratosphere Tower below. And since the ride is programmable with various ride options, passengers with an insane amount of spontaneity can experience a different kind of ride each time. The X Scream, "is an eight seat ride that dramatically thrusts its open roller coaster car along a 69-foot ramp at 30 miles per hour until suddenly stopping 29 feet over the edge of the tower and 866 feet from the ground below. The panoramic view from the top and the temporary sensation of free fall add to the ride's exhilaration. Currently, the X Scream takes three separate plunges, but the frequency can be raised or lowered. In addition, the computer that operates the system can be programmed to operate 100 different patterns of falls, each producing varying degrees of intense sensations for riders." The Linq Promenade VR Adventures is a cutting edge and never-before-seen immersive experience that plunges guests into a three-dimensional virtual world. Guests will put on goggles that Facebook spent 2 billion dollars to develop, and be transported to a virtual reality. Unlike other video games, VR Adventures requires gamers to use hand movement, walk, sidestep or jump to explore or fly through the virtual world. Honestly...the experience redefines magical! 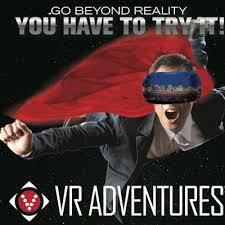 Adventures offers gamers up to FOUR unique experiences to escape from the everyday games and into the virtual world. If betting your life’s savings on “red” on the roulette table isn’t heart-pounding enough for you, go to where the real thrill-seekers hang. A trip to Vegas no longer automatically means an indoor vacation in smoky, windowless buildings. The desert surrounding the city offers ample opportunity to get away from the hotel-casino action and create some white-knuckle adventures of your own. Want your own Top Gun experience? 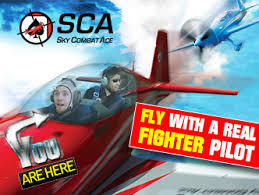 Visit Sky Combat Ace where you have a chance to fly your own two-passenger plane. If actual “hands-on-the-controls” sounds a little too interactive for you, the stomach-churning drops on the zip-lines at Flightlinez Bootleg Canyon might serve you better—you only need strap yourself in and ride. Other adventures abound, whether you prefer simulated combat experience, like the sort provided at Battlefield Vegas, or tearing through the desert basin on an ATV. There’s no shortage of deeply off-kilter places to raise a glass in Las Vegas, but the Mermaid Bar & Lounge at Silverton is the most extraordinary. 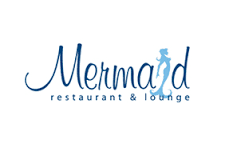 Sip cocktails in the company of silver-finned fish-women—the Mermaid Lounge features a bar that faces an underwater tank populated by its aquatic namesake. If mermaids (and a few drinks) don’t put you in a Las Vegas state of mind, nothing says “Sin City” like a Polynesian hallucinations and a headful of rum. You’re likely to find both at Frankie’s Tiki Room toward the northern end of the Strip, a colorful, local dive that will open a whole new Vegas dimension for you. If going off-Strip is too outré for you, enjoy your weirdness in safer but endlessly fascinating watering holes like the Chandelier Bar at the Cosmopolitan. Suffering from sensory overload? Rancho Drive, northwest of town, offers a different side of old Vegas. Take the bus as far as the US 95 to the historic Las Vegas Springs Preserve, a huge site given over to botanical gardens, nature trails and museum exhibits. It takes a while to adjust the eyes to the unwonted green. If you’d like to push farther into the wild, head out to Mt. Charleston, just 30 miles northwest of the city. The summer months afford brilliant hiking trails in a climate much cooler than Las Vegas’ and there are (usually) skiing options in the winter at Las Vegas Ski & Snowboard Resort. Despite the proliferation of swanky hotel lounges, there are many gemlike dives throughout the city. 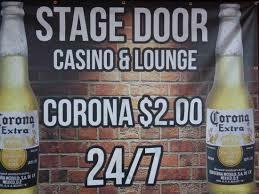 But the Stage Door is the only one within spitting distance of the Strip—and it serves $3 beers or $2 shots. Sitting on a prime piece of real estate, Stage Door often uses its marquee to advertise how many years it has left on its lease—a one-finger salute to the surrounding resorts.